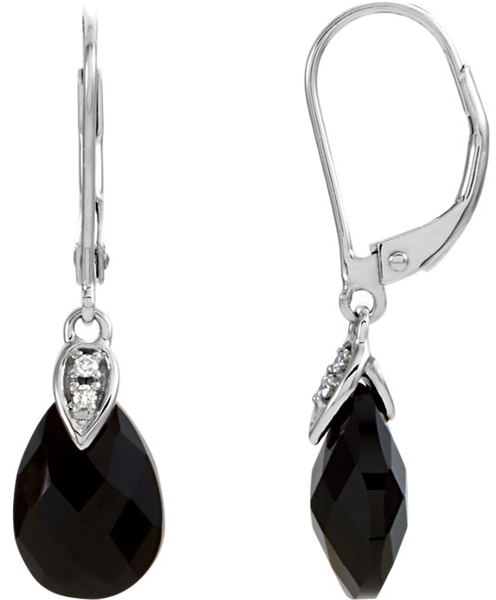 Bold & Beautiful 10x7mm Black Onyx Briolette Earrings in 14k White Gold - Diamond Accents Two Diamond Accents Sparkle Above a Checkerboard Faceted Black Onyx Briolette Gemstone in These Stylish 14k White Gold Leverback Earrings! 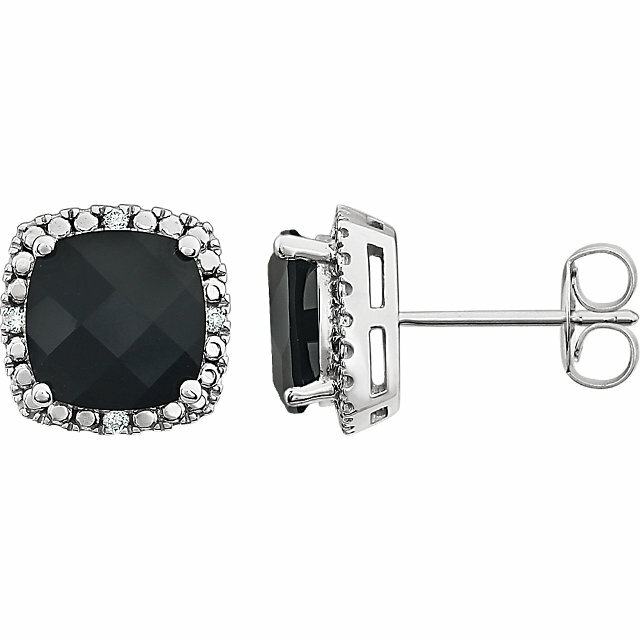 A Super Trendy Look! 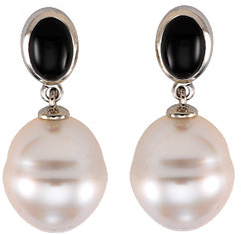 While new colors come and go, flitting in and out of the scene, claiming to be the knew black,we all know that black will never be dethroned from its perennial reign as the most stylish and ubiquitous color for fashion. There is something all at once charming and chic about a color that is both neutral and bold, that makes a statement without screaming too loudly. 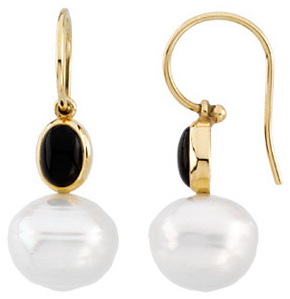 With that being said, we knew the world would appreciate our collection of Black Onyx gemstone earrings, featuring designs set in gold and silver and even some with diamond accents. 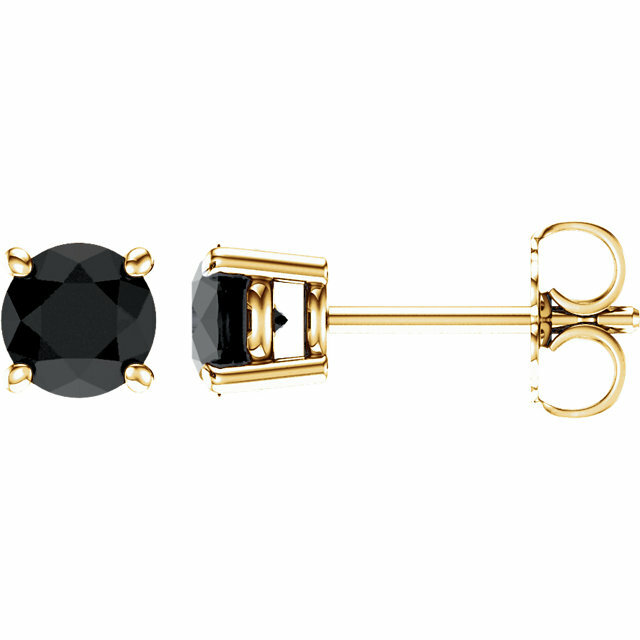 Black is back (not that it ever really left!) 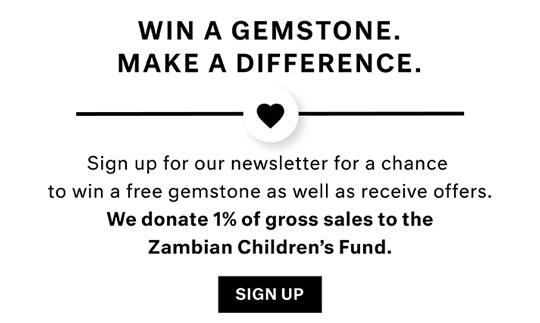 and we're ready to embrace it! 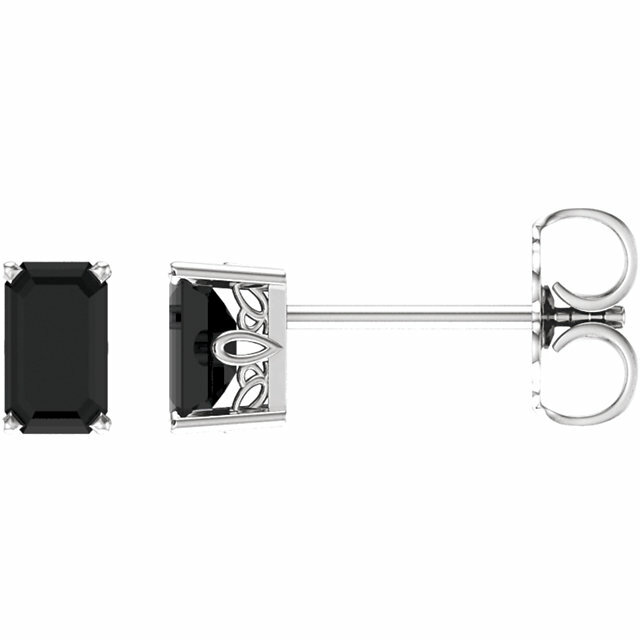 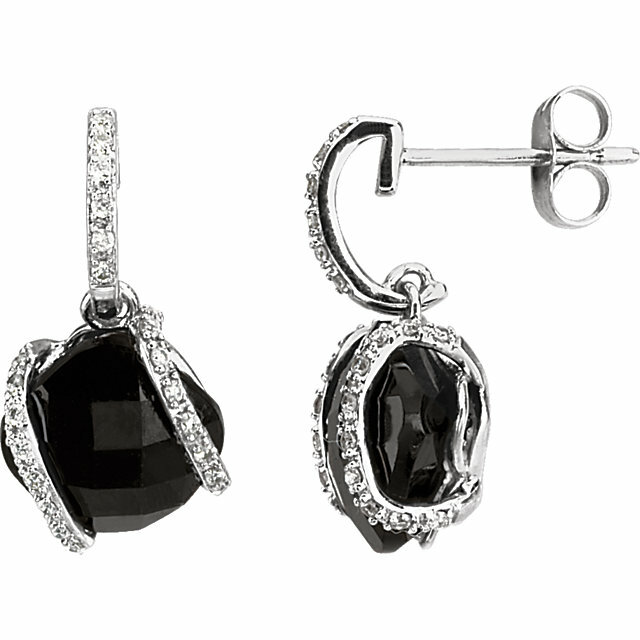 The most impressive aspect of our black Onyx earrings collection is probably the variety; who knew that Onyx could be displayed and framed in so many different styles of earring? We offer a more demure and modest stud earrings with faceted antique square onyx gemstones in a two-toned gold setting with diamonds. 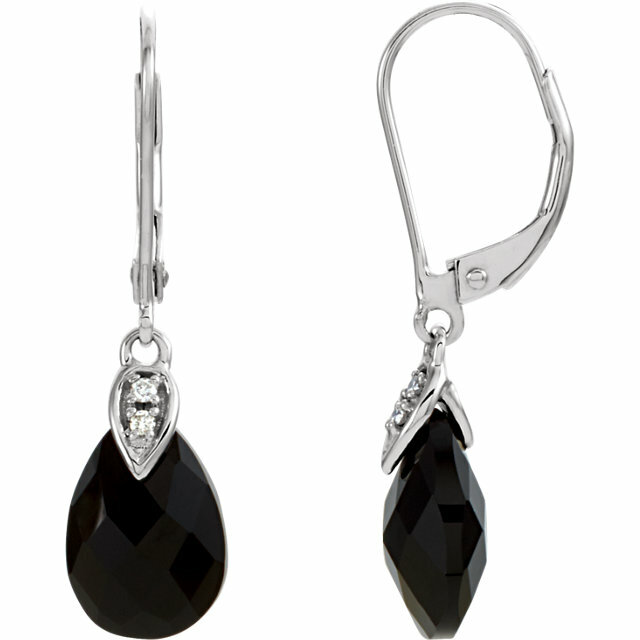 On the other end of the spectrum we carry dangling onyx briolettes and even a pair of chandelier earrings with a trio of hanging tear-drop briolettes. 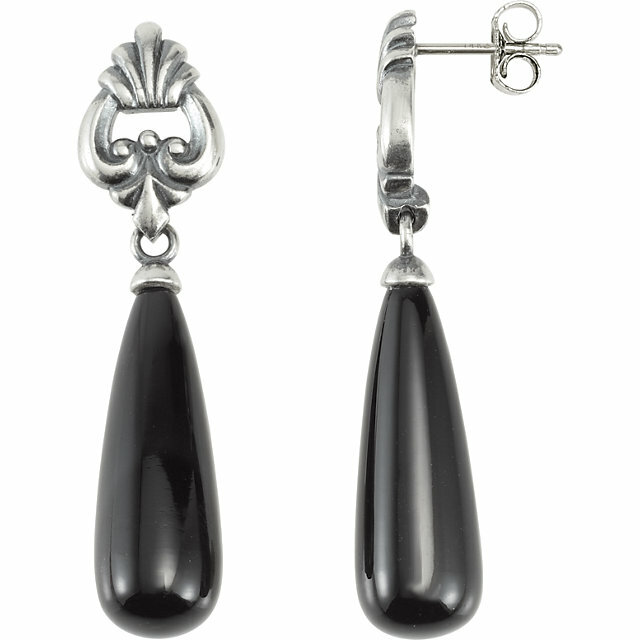 In some of the earrings, Onyx becomes the backdrop for ornate silver and diamond designs, providing contrast and creating a sense of drama. 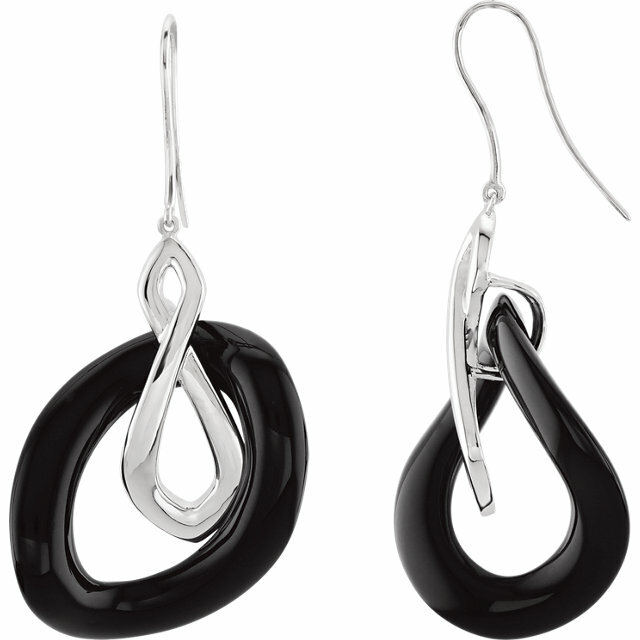 One of our most unique pairs features an open pear shaped onyx with abstract silver webbing on the inside, such an avant-garde and funky pair of earrings. 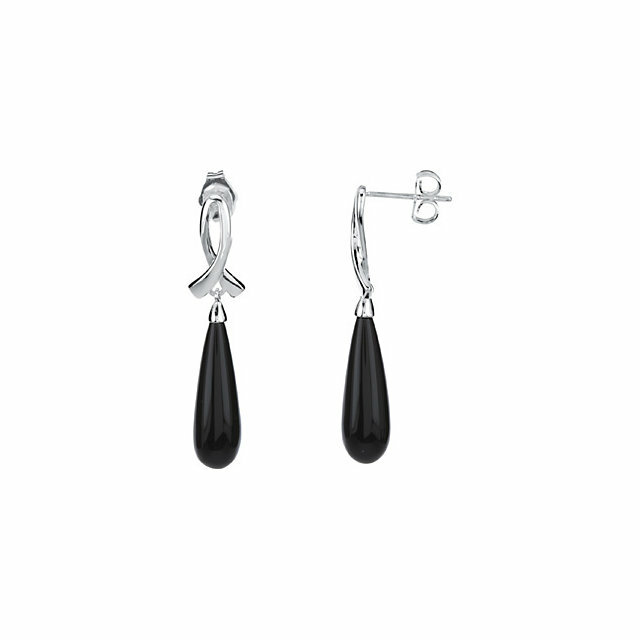 With so many outstanding options to choose from, you will definitely find the perfect black Onyx gemstone earrings for you. 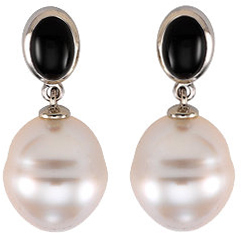 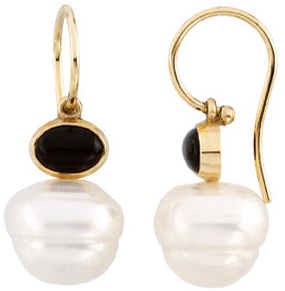 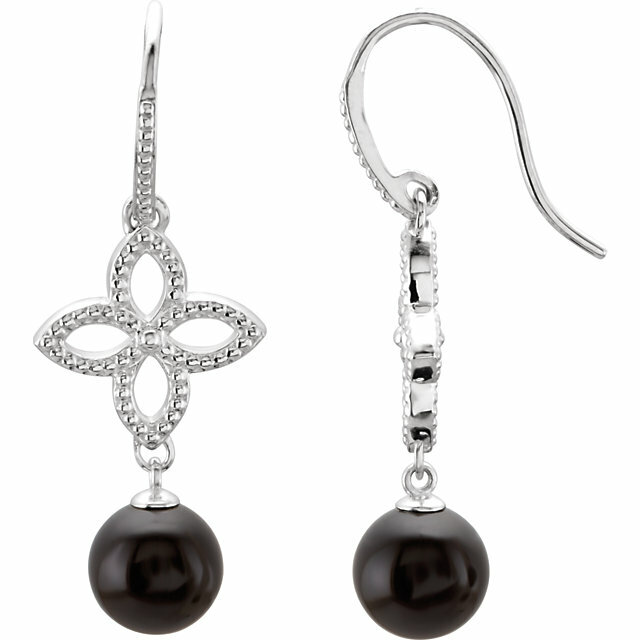 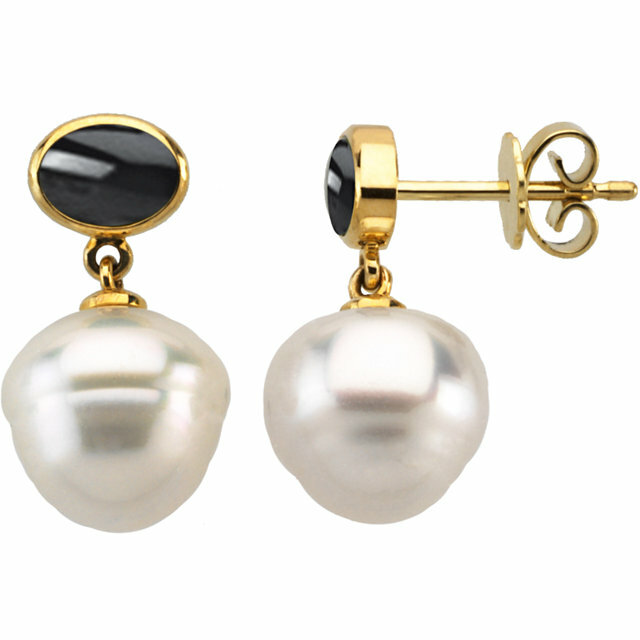 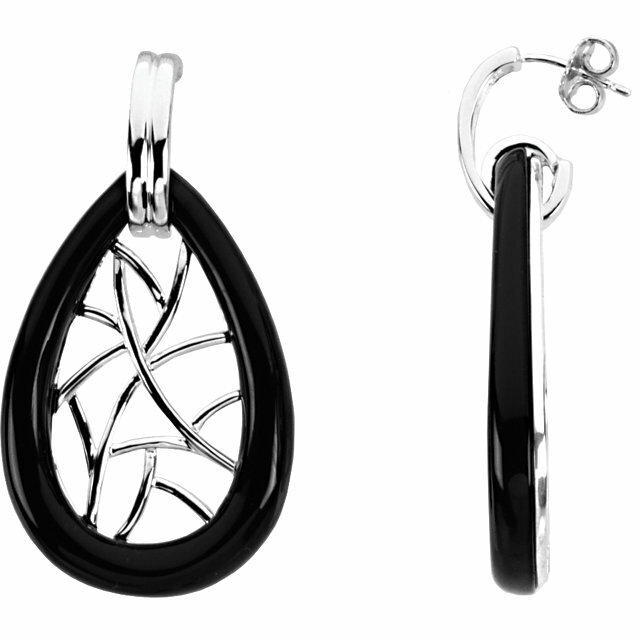 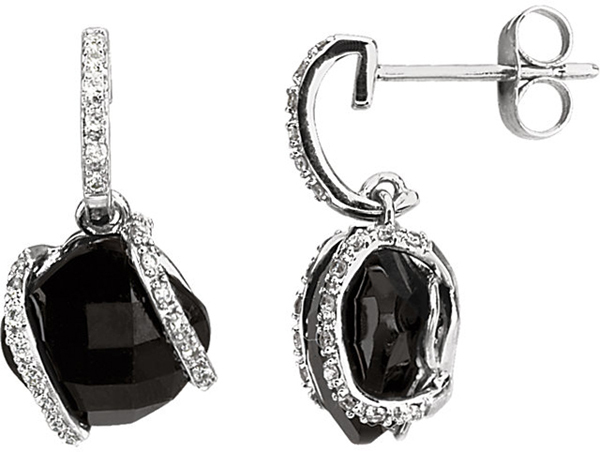 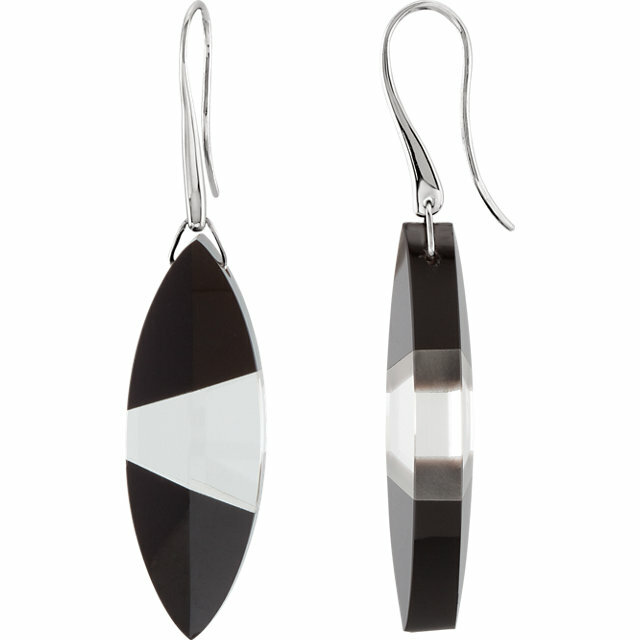 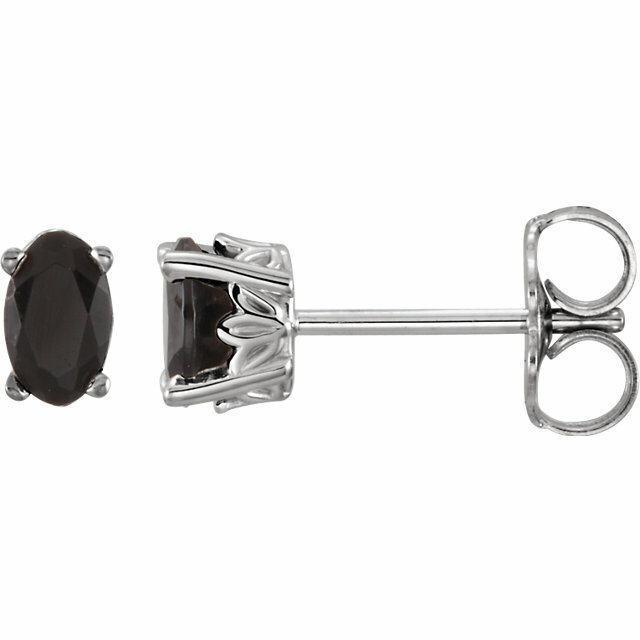 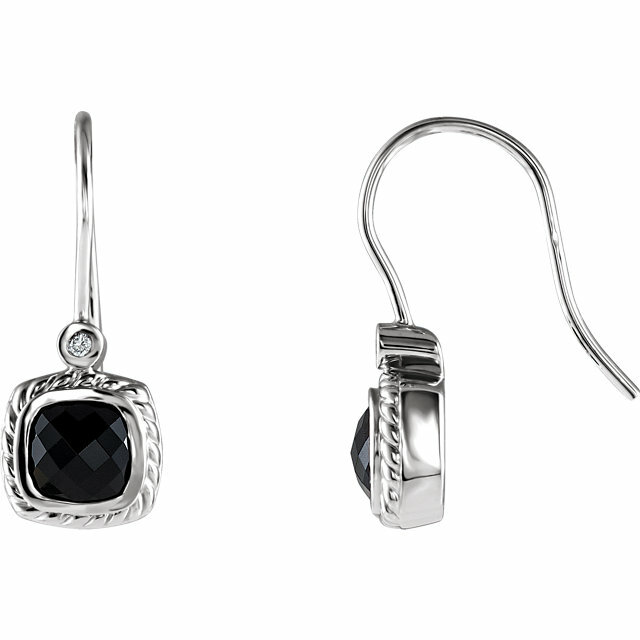 Be sure to pay attention to earrings that have matching Onyx rings and pendants.